Please type your desired tags, e.g. Political Science, Cognition and Neuroscience, Bioengineering, Emerging Media Art, Institute for Urban Policy Research, Bio-Organic, Systems Engineering, Technical Communication, Research Methods, Communication Theory, Grant Writing, Online Education, Hybrid Course Design, Experiential Education, Women’s History, and etc. 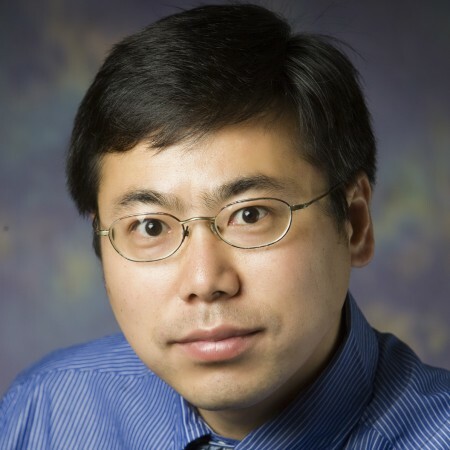 Professor Chiu's research is focused on the design of energy-efficient, highly integrated analog-digital interface ICs, encompassing data converters (ADC and DAC), RF transceivers, on-chip beamformers, RF power amplifiers, power electronics, and bioelectronic interfaces. Particularly, his recent research thrust is to develop adaptive signal processing algorithms and post-fabrication error correction techniques to address high-performance analog, mixed-signal, and RF IC implementation challenges in nano-scale silicon (and future) fabrication technologies. From 1997 and 1999, Dr. Chiu was employed as a senior staff member at the CondorVision Technology Inc. (later PixArt Technology Inc.), Fremont, CA, in charge of developing analog and mixed-mode circuits for CMOS digital imaging products. He was with the Berkeley Wireless Research Center (BWRC) at UC Berkeley between 1999 to 2004, working on low-power, low-voltage CMOS data converter circuits. In 2004, Dr. Chiu joined the Electrical and Computer Engineering Department of the University of Illinois at Urbana-Champaign as an assistant professor, where he received the tenure offer in 2010. He is now an Erik Jonsson Distinguished Professor with the Texas Analog Center of Excellence (TxACE) and the Electrical Engineering Department of the University of Texas at Dallas. He is also a member of the TxACE executive committee. Dr. Chiu was a recipient of the Regents' Fellowship, Intel Fellowship, Cal View Teaching Fellow Award at Berkeley, two awards from the Ministry of Education of China, and the Agilent Foundation Award. In addition, he received the Jack Kilby Award from the 2005 International Solid-State Circuits Conference (ISSCC) and the 2009 ISSCC/DAC Student Design Contest Award. He was an Associate Editor of the IEEE Transactions on Circuits and Systems II: Express Briefs, and has served on the technical program committees of several solid-state circuits conferences including the Custom Integrated Circuits Conference (CICC) and Asian Solid-State Circuits Conference (ASSCC). He is an IEEE senior member and holds two U.S. patents.